The rapper, whose legal name is Keith Cozart, was arrested Monday at the Sioux Falls Regional Airport where officials say marijuana was found in his carry-on bag. 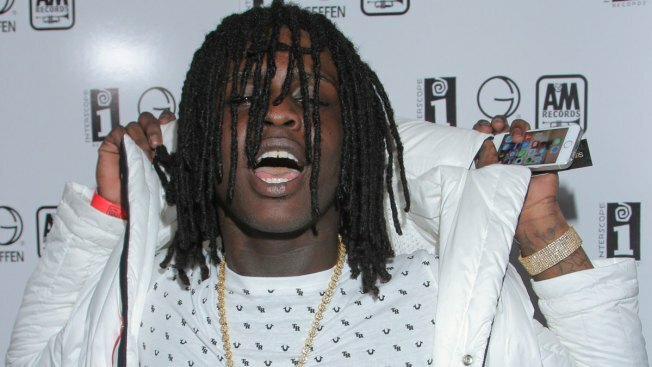 Chicago rapper Chief Keef has been released from a jail in South Dakota where he was charged with marijuana possession. Cozart is facing a felony charge for possessing a marijuana edible and two misdemeanors for possessing marijuana and drug paraphernalia. He appeared Tuesday in a Sioux Falls court where a judge set bond at $2,000. The Minnehaha County Jail said Wednesday that Cozart is no longer in custody. Cozart performed on Sunday at an anti-bullying celebrity basketball event at the University of Sioux Falls.